Oncology dietitians report the fear of sugar fueling cancer as one of the most common claims they hear. Here are the science-based answers to common beliefs about cancer causes and cures. The Claim: Sugar feeds cancer. The Research: All cells (including cancer cells) in our body use sugar (glucose) from the bloodstream for fuel. But that blood sugar comes from all carbohydrate foods, including healthful vegetables, fruits, whole grains and low-fat dairy sources; some glucose is even produced within our bodies from protein. 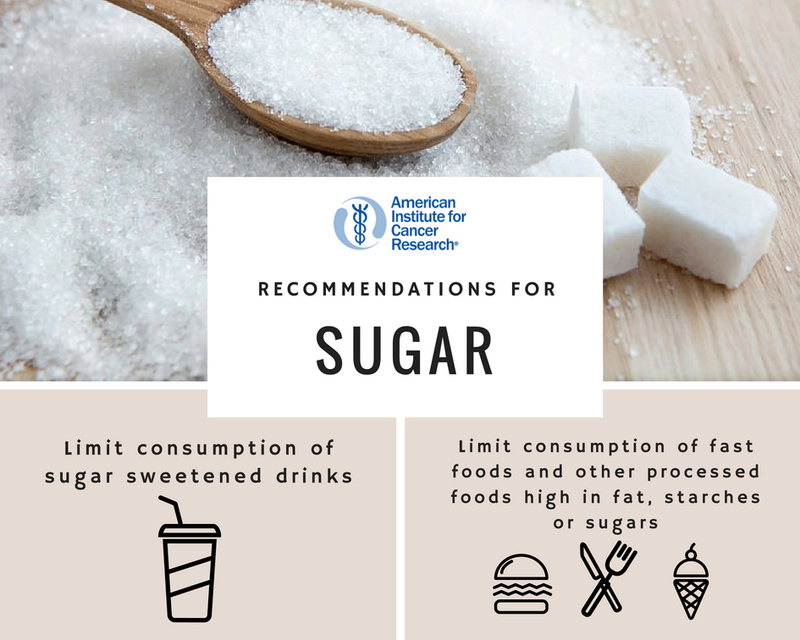 While avoiding sugar completely will not slow cancer growth, eating a lot of high sugar foods may mean excess calories in your diet. That, in turn, can lead to weight gain and excess body fat. And obesity increases the risk of 11 common cancers, including colorectal, post-menopausal breast and ovarian. What to do: Focus on eating an overall healthy diet that can help you get the nutrients you need and help with weight management. Base your diets in vegetables, fruits, legumes, whole grains and other plant foods with moderate amounts of animal protein. Limit foods with a lot of added sugar.